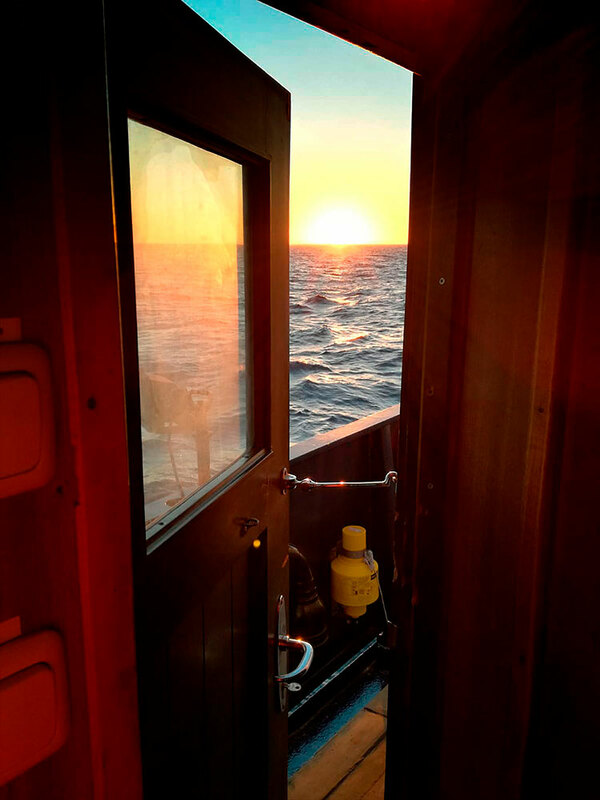 Journal on board. On Friday night the Alan Kurdi sailed. Destination SAR area in the Mediterranean. The days before the departure have been crazy. Preparations and unexpected incidents that our first team colleagues have been solving with “quality and intensity” as they say Coke and Sebas who, along with Pablo and Teresa form the first team. Invaluable logistical support from Shai and Xisca, volunteers from Proemaid as well. All of them have been worried from the first moment so that the ship could set sail as soon as possible. 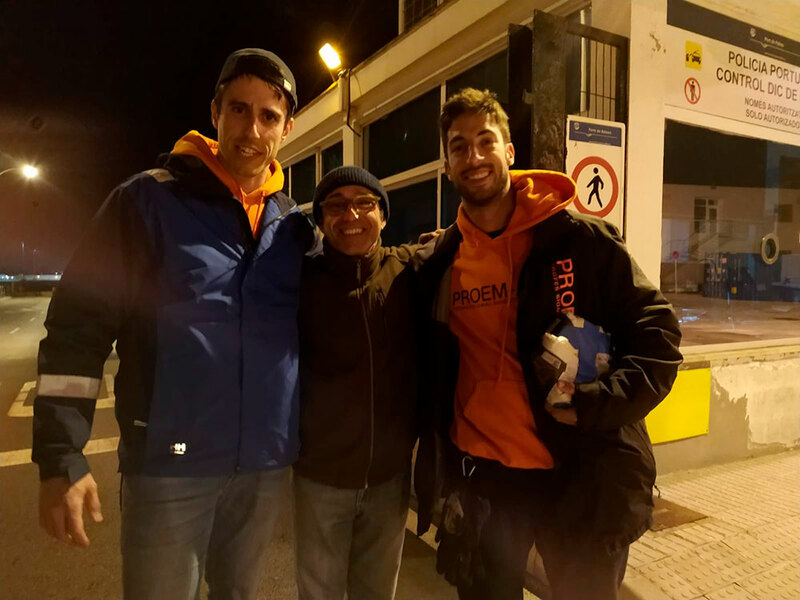 In addition to them, there have been many people who have helped us as Pepe the mechanic, Silvestre the welder who made a key piece and then approached the comrades in his car. And of course, the rest of Alan Kurdi’s crew. 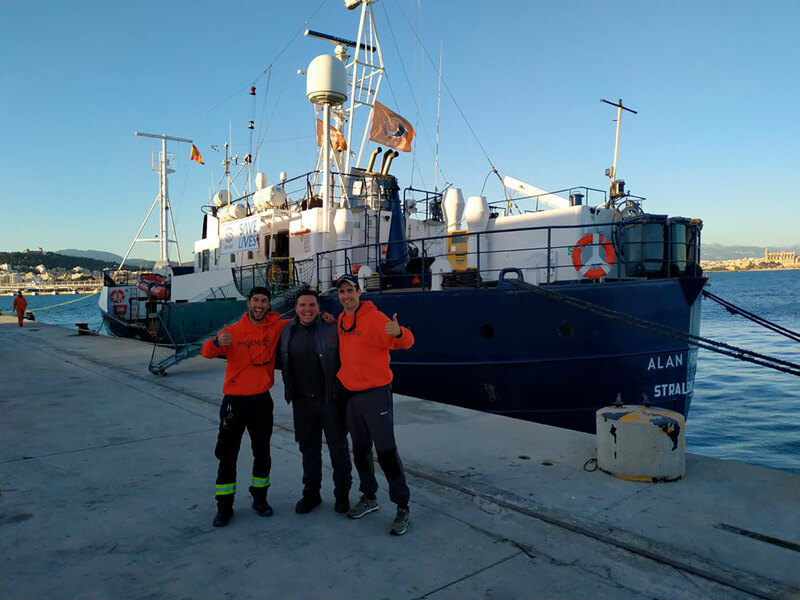 Day by day the group of volunteers from SEA-EYE and PROEM-AID becomes stronger and more cohesive, becoming a great crew for Alan Kurdi. 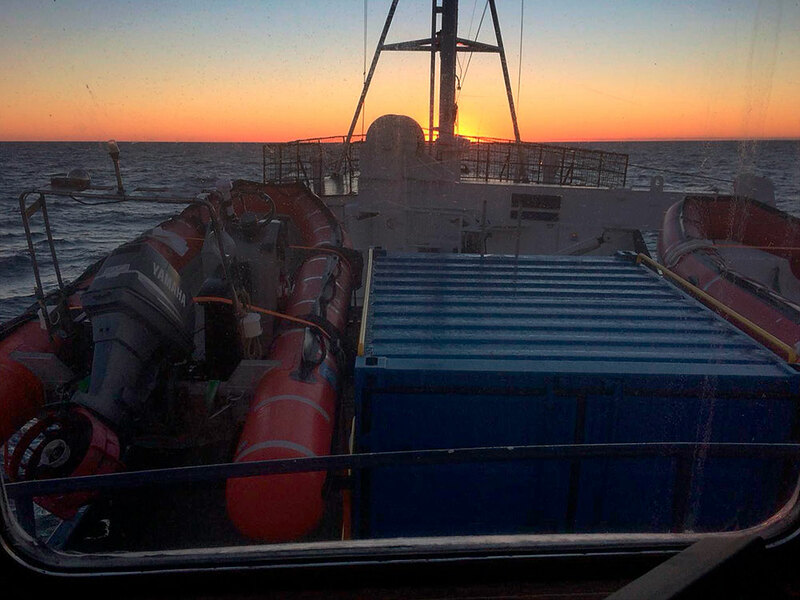 «Course 104, today I saw the dawn on the starboard bow, NE wind and about 3/4 knots with constant waves of approximately 0.5 m.
We will continue on course 2 days until the next waypoint. ETA in 5 days. The crossing is being pleasant, time allows, even so the first dizziness has already appeared. At the moment I feel like on land I have nothing to complain about. My turn of guard coincides with that of Waldemar, first officer and I can not be happier since his experience is only envied by the captain’s. Seeing the sky without light pollution makes the early riser worthwhile».